The P.O.L. brass adapter (spud & nut) is required to convey LP gas to the regulator. 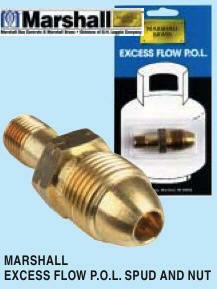 1/4" MPT x excess flow P.O.L. 7/8" hex nut.